Established in the year 2005, we, Krishna Water & Chemical Services, are one of the leading manufacturer, supplier, trader, distributor, importer and exporter of a wide assortment of Water Treatment Plants & Systems. Some of our quality range includes Filtration Plant, Filtration Systems, Industrial Chemicals & Industrial Evaporators. We also provide excellent Operational & Maintenance with troubleshooting services to our clients to meet their requirements. All our products are designed in accordance with international quality standards and norms. Backed by our modern manufacturing unit, we are able to manufacture a precision-engineered range of products as per the clients’ requirements. 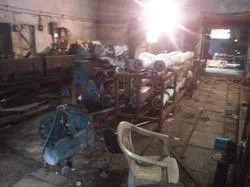 All latest machines, tools, equipment and technology that are needed for producing these products are installed at our unit. To ensure that all our products conform to industry norms, we conduct RO, UF and NF membranes performance test on the entire range. We use cutting edge technology for manufacturing our range of products, and pack all our products using quality packaging material such as corrugated boxes, wooden packs and HDPE/PP drums to ensure safe transit of our consignments. Apart from this, we also provide paid sampling facility to our clients, in which they have to pay product cost with delivery charges. Under the able and efficient guidance of our mentor, “Mr. Deepak Patil”, who has years of experience in this industry, we have carved a niche for ourselves in the market. His business acumen, sound strategies and in-depth knowledge have helped us in mustering a huge clientele that consists of Essar Steel Essar Oil, ONGC, TATA Power, Adani, Reliance, ABB, Bayer, UPL, Carlsberg, Asian Paints, General Motor etc. We are a time-honored organization and nurture the vision of becoming the pioneer in Filtration business and satisfy our clients all over with our world-class range. 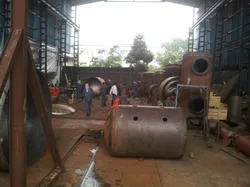 We are one of the eminent manufacturer, supplier, trader, importer and exporter of a comprehensive range of Evaporator Products and Water & Waste-Water Treatment Plants and Systems. All our products are widely appreciated by the clients due to their durability, reliability, sturdy construction, corrosion resistance and excellent performance. We have appointed a team of qualified, trained and hardworking professionals, which has years of experience in this domain. Our team utilizes all latest machines, tools, equipment and technology that are required for manufacturing a precision-engineered range of Evaporator Products and Water & Waste-Water Treatment Plants and Systems. Further, our team works in proper sync with the clients to known their exact and ever growing demands in a better way. In order to keep our team updated with latest market trends and technological developments, we arrange excellent training sessions on a regular basis. Owing to extensive industry experience, we are capable of providing our clients with a range of Evaporator Products and Water & Waste-Water Treatment Plants and Systems. Our transparent dealings, sound strategies and in-depth industry knowledge, we have muster a huge client base across the market.